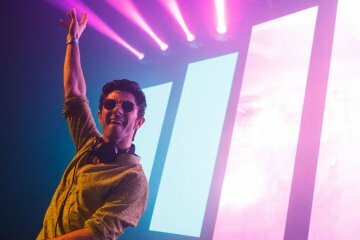 At the age of 22, the young DJ and producer had claimed himself a spot at no. 27 on the DJ Mag Top 100 DJs list. 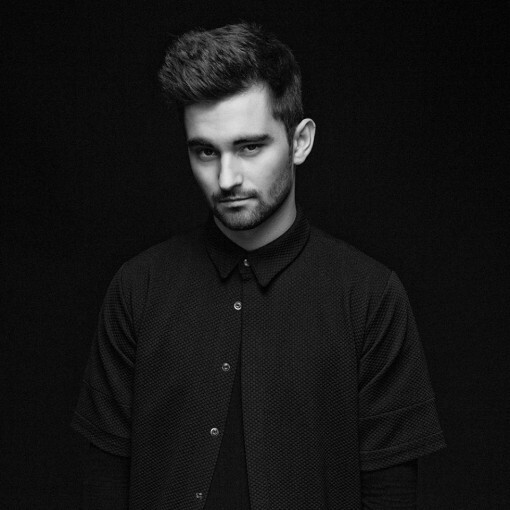 Dyro as known as Jordy is a Dutch DJ who is famous in making progressive house music. He started off his career with Revealed Recordings and Hardwell as they were on a tour together with Dannic for the “Hardwell presents Revealed: Canadian Bus Tour”. Then, under the same label, he made his first release “Daftastic” in 2011. He also started a radio show and named it as Daftastic, which then he renamed as WOLV. Dyro has performed in many famous festivals around the world such as Ultra Music Festival Miami, Future Music Festival across Australia, Tomorrowland and EDC Las Vegas. Output Festival Bangkok had him perform during the end of 2015 and it was a pleasure for us to have a conversation with him. Concertkaki: Hi Dyro! We are Concertkaki from Malaysia. Dyro: Nice to meet you. Concertkaki: We heard that you just came back from Sunburn festival, GOA. How was it? Dyro: It was definitely one of the coolest shows I’ve ever played in my life. It was crazy you know, to be able to close down such a legendary festival. I played the last set so it was insane! The people in India, they were like… they just go crazy. It’s insane and ya, I love it. Concertkaki: APOCALYPSE by Jordy Dazz was released on your record label, WOLV on 7th of December. How was it like to work with Jordy Dazz? Dyro: Err.. I think Jordy is a really cool guy, he is really talented and stubborn, but in a good way. Haha. I mean me and Jordy have been friends for a long time and to be honest his music doesn’t really fit my label always but that’s okay. Then, he made this song, and he sent it to me, and I was like, I love it! I think it was like a year ago already. So err, he worked on it for a long time and once, back and forth, I gave a little bit of feedback but he is a great producer. I worked with him, and he is really passionate about his work. So yeah, good experience. Concertkaki: Can you tell us something interesting about Daftastic/ WOLV radio show and Dyro’s Diaries? Dyro: Well, it was like a few years ago. We named it Daftastic as the first song I’ve released is called Daftastic and then we changed to WOLV radio because I started of my label. So as of right now, it’s the broadcast that we do every 2 weeks. It’s kind of like an extension of the label in some way, we premier our releases on the radio. Like if we get really cool demos or we can’t fit it in our schedule or if it’s not something we want but still is a really good song, then we would post it on the broadcast. You know if we release a song by a DJ who is pretty new, we give them the opportunity to be the guest mix on the radio. So yeah, that’s like the extension of the label. Concertkaki: Tell us more about your Record Label, WOLV. Dyro: So back in 2014, when I was still with Revealed, I think it was January, and I took like a month off. I was in the studio, I kind of re-evaluated everything and the music that I was making.. I wasn’t really happy about it. I didn’t feel like I was making music for myself anymore. It was just like for other people and some didn’t even make sense. And it just wasn’t making me happy. So, I kind of stopped everything and took a month off, I wasn’t in the studio for a month and I came up with this sound that I am doing right now as well. So the first couple of songs that I made now, WOLV was one of them. It was so different and obviously it didn’t fit Revealed at all. So, we just decided to start my own label with it and in the beginning, it was a huge guess in a sense? But I think it turned out really well, I think we’ve done pretty a lot of things on the list. Yeah. Concertkaki: Is there a chance that you might visit Malaysia anytime soon as you have never been there yet. Your fans from Malaysia are really excited to see you! Concertkaki: Well, 2 more days till 2016, what should we expect from Dyro in 2016? Dyro: So in 2016 I am gonna focus on EPs. So usually what I do is I release singles. For the last 2-3 years I only released singles. But with the EP right now, I have a lot more of creative rhythms in the sense that when I release a single release, people would expect me to do the same stuff over and over again. You know, they have certain expectations. But with an EP, I can put the song that people expect from me and also put like 3 other songs that are completely different, that I just want to make and I mean, play in an album… and I cannot expect a lot of people who play that. It’s just cool for me to get that freedom to show people that I am capable of making a lot more music than people think. The first EP is gonna be out on February and I am very excited! I just played a lot of the songs here and during the entire tour. Concertkaki: That’s the end of the interview. Thank you so much for your time.